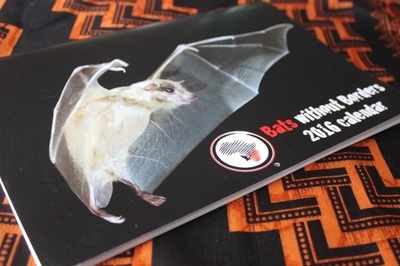 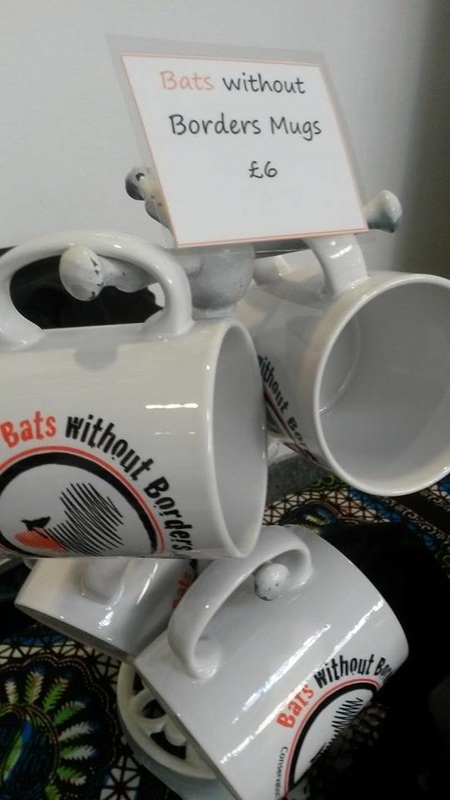 Bat inspired gifts for you or your loved ones, supporting bat conservation in southern Africa! 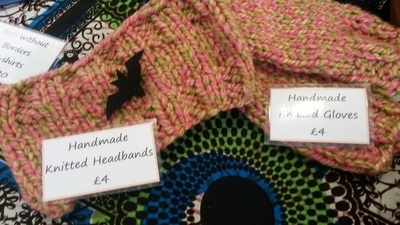 We are proudly partnering with Impact Trading who are producing our Fairwear and organic tops. 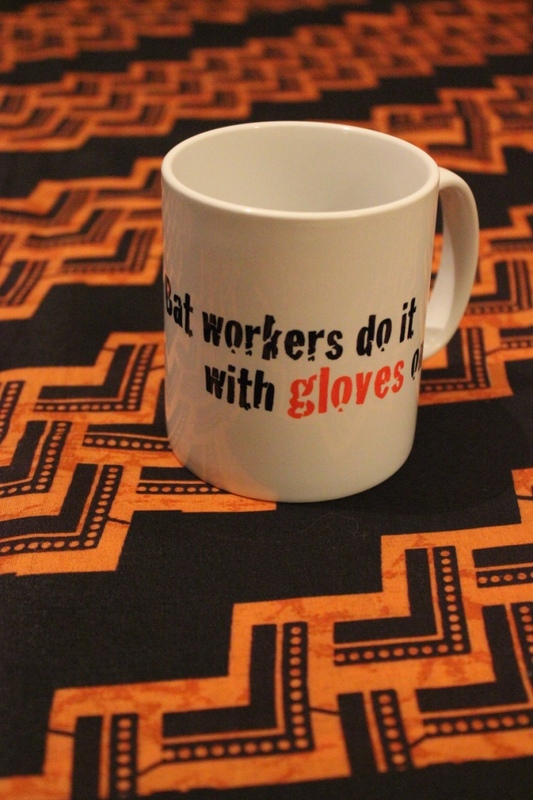 We have vests, short sleeve t-shirts, long sleeve tops and hoodies. All tops are black with our logo on the front and your choice of slogan on the back (or have it blank). 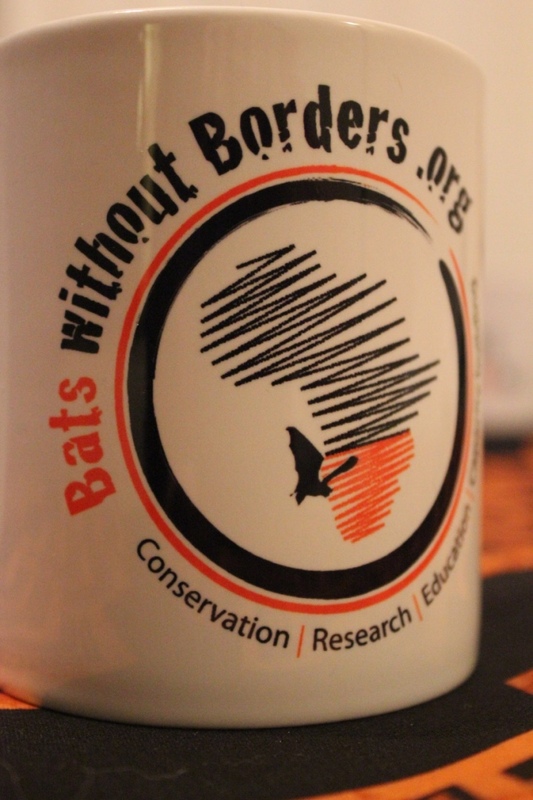 To view the tops and order please visit Impact Trading's Bats without Borders online store. 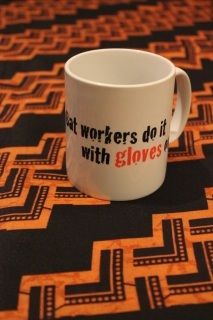 do it in cars at low speed! 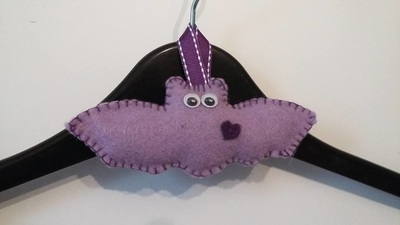 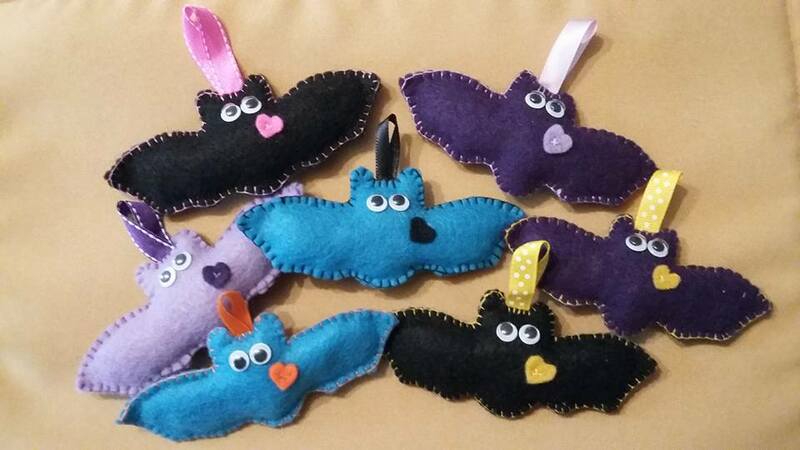 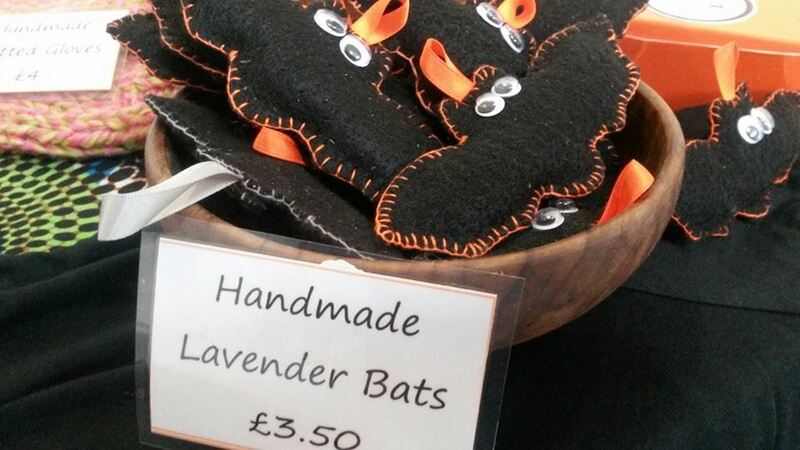 These gorgeous home-made bats come in a variety of colours and ribbons! 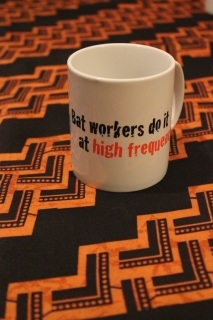 ​These original bats are black with either orange, green or yellow ribbon. 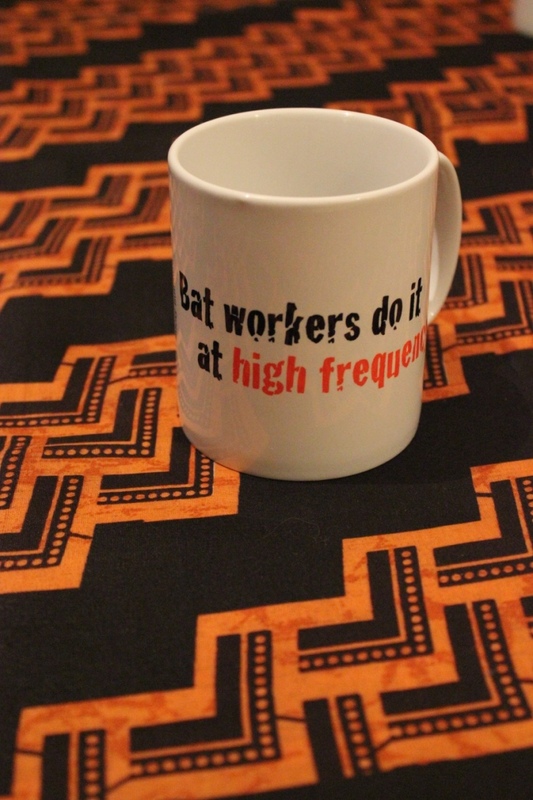 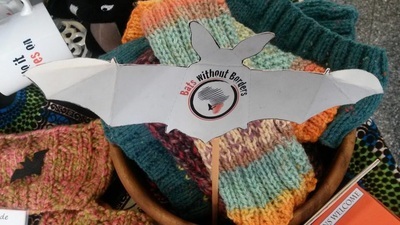 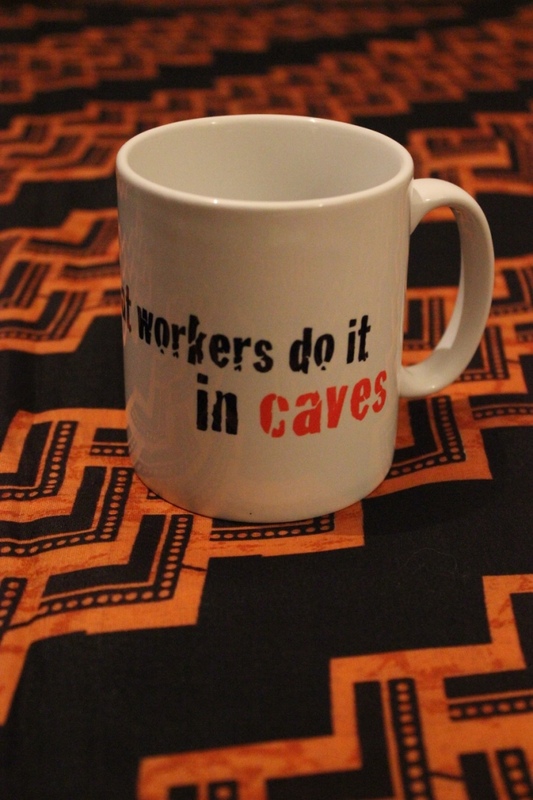 ​Bats without Borders mug with logo on one side and various slogans on the other.